Jim's first CD was recorded in 2007 at the DC Improv and went on to win the 2009 Best Comedy Album at the Just Plain Folks Music Awards in Nashville, TN. Why is Dad So Angry? 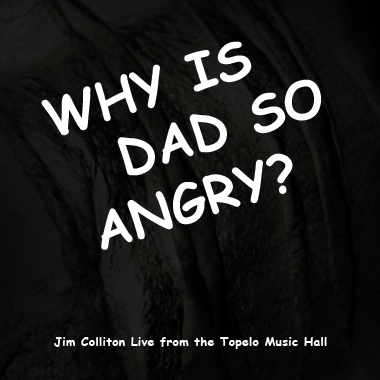 Jim's second comedy album was recorded in 2016 at the Topelo Music Hall. Both of Jim's albums can be heard on iTunes, Spotify or Purchased at CD Baby.